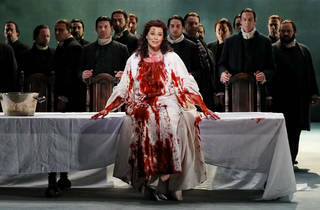 The Sydney Opera House debut of Jessica Pratt in the title role of Lucia di Lammermoor is a big deal. Pratt is one of just three Australian singers to ever perform the role at Milan’s legendary La Scala. The other two? A pair of dames: Joan Sutherland and Nellie Melba. Pratt has spent the last few years wowing audiences at major opera houses across Europe and earlier this year played Lucia at the Metropolitan Opera in New York – again following in the footsteps of Sutherland and Melba. So to say there’s hype around this homecoming is an understatement (Opera Australia even brought in Maggie Beer to create a dessert in Pratt’s honour, in reference to the Peach Melba). First thing’s first: the voice. It’s pretty much all it’s cracked up to be – she has startling agility and brightness in her upper register, and a sensitive musicality. Her trills are electrifying and every piece of vocal ornamentation is tasteful. She’s pretty secure in the middle of her range, if occasionally a little overpowered by the orchestra. But you don’t come to Lucia to hear a soprano’s middle or lower registers. The opening night audience rewarded her and co-star Michael Fabiano with an extended standing ovation. 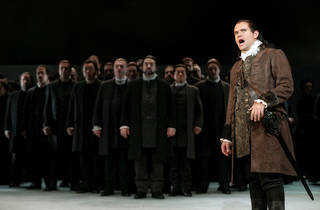 It was one of those nights of triumph at the opera that you hear about but rarely witness. Donizetti’s tragedy has a fairly simple plot drawn from Scottish novelist Walter Scott’s The Bride of Lammermoor. Lucia’s brother Enrico (Giorgio Caoduro) has started losing his money and has a plan to marry off Lucia to the wealthy Arturo (John Longmuir) to secure the family’s fortunes. But what he doesn’t know is that Lucia is in love with Edgardo (Michael Fabiano), his sworn enemy. Needless to say, there’s plenty of bloodshed by the end. 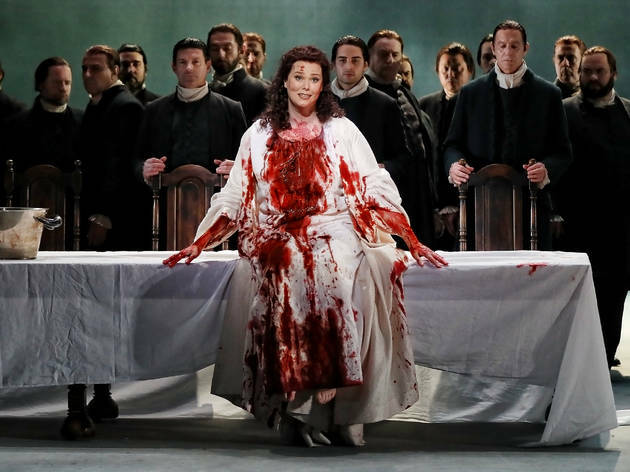 It’s one of those operas where if you have a leading lady who’s up to the vocal challenges of the role – particularly for the infamous ‘mad scene’ – you’re halfway there. But you also need co-stars who measure up. 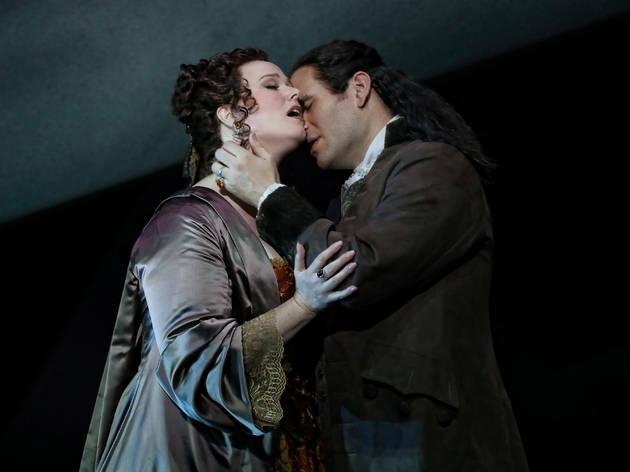 American tenor Fabiano’s performance as Lucia’s lover is vocally and dramatically massive, and he’s tasked with carrying the show after Pratt left the stage. 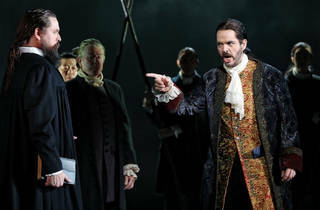 His final aria is gorgeously sung – powerful and velvety – and heart-wrenchingly acted. 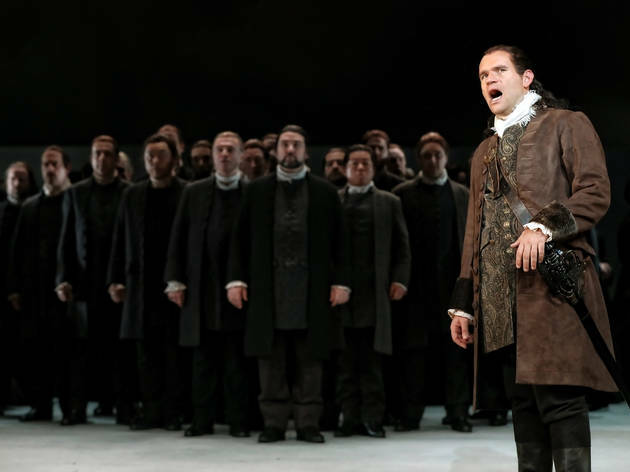 Giorgio Caoduro milks all he can from Donizetti’s score, caressing every phrase, and is appropriately menacing as Lucia’s brother. Director John Doyle’s smart but stripped-back production, first seen in Sydney four years ago, feels even more potent this time around, revived by Roger Press. 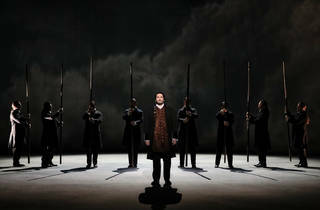 The entire performance unfolds on a mostly bare stage, with just flats painted in dramatic but dreary grey clouds (an ingenious design by Liz Ascroft). They fly in and out slowly in different arrangements to trace the mood of the opera. 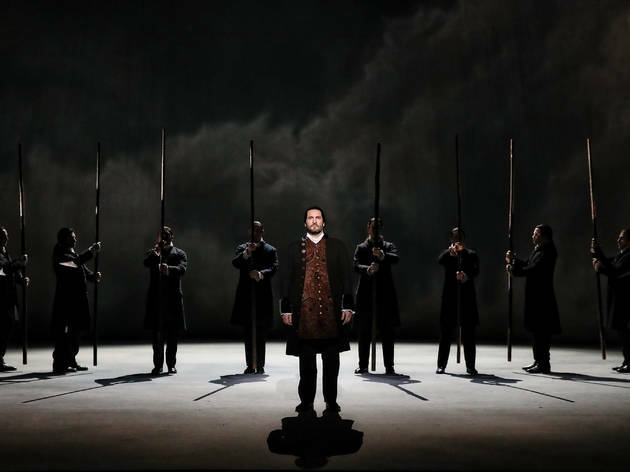 It’s not exactly the most action-packed piece, and Donizetti’s rich but sombre score – played with plenty of warmth by the Opera Australia Orchestra after a slightly cool start under conductor Carlo Montanaro – is perfectly matched to Doyle’s misty, wintery vision. It’s not the type of production you’d program for summer. If there’s a problem, it’s that there’s not a perfect synergy between Pratt and the production. Pratt’s acting is full of the grand but shallow gestures that were employed by opera stars half a century ago. She never sacrifices any vocal quality for the drama, and how much you enjoy her performance will depend on what you go to the opera for: beautiful singing above all else, or a seamless melding of drama and music. 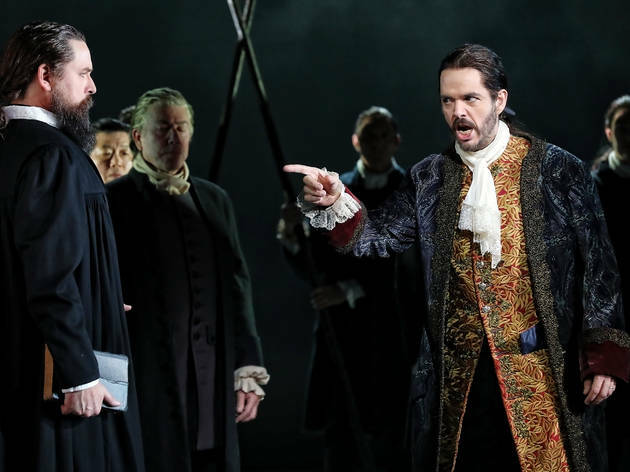 The problem is that Doyle’s highly stylised but minimal staging leaves the performances very exposed, and if they don’t ring with truth there’s little in the way of scenery or props to create the world of the opera. Given the lack of fire in her dramatic performance, it’d be difficult to argue that Pratt has the complete package of what we expect from an opera singer in 2018. But the vocal thrills are impossible to deny and it could be a long time before Sydney again hears a Lucia so gloriously sung. And let’s face it – Joan Sutherland wasn’t known as much of an actor, so Pratt is following in her footsteps in more ways than one.